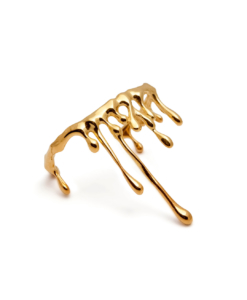 Golden earcuff for the right ear. 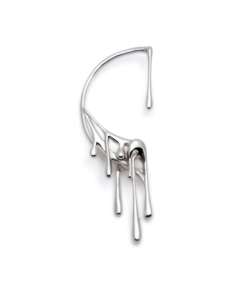 The design of the earcuff completely transfers the weight of the piece to the upper part of the auricle. The earcuff is made of a jeweler’s brass, hand-crafted. 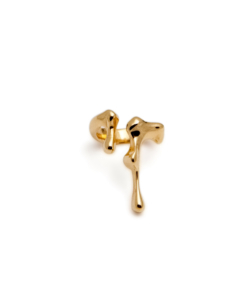 There is no pressure on the earlobe and the gold plated silver fastener only fixes the earcuff without causing any inconvenience. 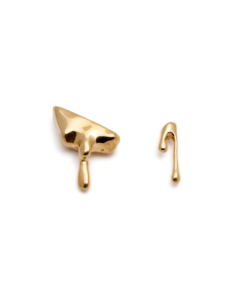 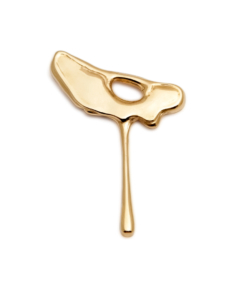 The earring post directly entering the ear is made of gold plated pure silver.